Hello everyone, and thank you for coming over to see us today! This is #Day72 of our #DisneyWorldCountdown, and for us, today is the day we look into Journey Into Imagination, part of the Imagination Pavilion at Epcot’s Future World! To me, the #DisneyWorldCountdown isn’t just about counting down until our #Disney trip — it’s also about getting geared up about some of our favorites, but it’s also about exploring things that we haven’t experienced before, or at least for a very long time. Journey Into Imagination is just that sort of attraction — one that I don’t even remember riding ever! You may remember earlier this year my friend Heidi from Heidi’s Head did a guest post for me on the Imagination Pavilion, so she covered quite a bit about the pavilion. She didn’t touch much on Journey Into Imagination, though, in part because it’s just not the same as it used to be. However, if I don’t remember it at all, then seeing it now will at least give me new memories, so I’m going to give it a shot! 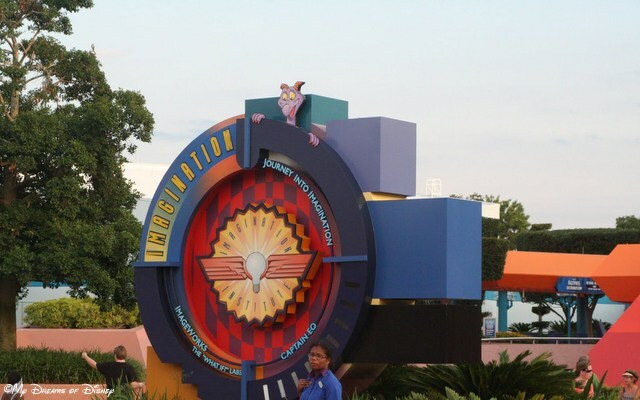 Do you and your family go to the Imagination Pavilion and see the attractions? If so, do you like them, or are they not worth the time spent? Let me know in the comments please, and thank you for stopping by today!